Wine is one of the main products of the region and Bari is one of the best cities to taste and enjoy fine wines of Puglia. After the day of sightseeing it is a delight to have drinks in the places with great atmosphere. 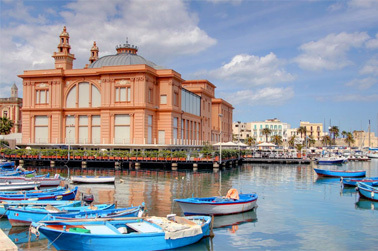 We offer the list of some bars in Bari for spending great time after the day of sightseeing. This bar is small but very nice. This is one of the most popular bars in Bari. Located in the heart of the Old Town on Corte Colagualano 36, it offers excellent range of drinks and tasty food. The interior is well designed and beautifully decorated. The place is very lovely and cozy with great atmosphere. Brilliant music is playing at the background making the fantastic ambience. All the staff is very friendly and helpful. It's a perfect place to relax after walking around the Old Town. You can taste fine wines, delicious cocktails, tea and coffee. Along with drinks platters are served, for example a platter with ham and cheese. All dishes are really delicious, wines are good and prices are reasonable. This bar is excellent for romantic drink. Delicious chocolate cocktail which is served in the place is especially recommended. The outdoor terrace invites to stay for the whole night enjoying good drinks and chat with friends. This little nice bar and restaurant, located on Via Enrico Pappacena 24/A, is a real gem. It offers an incredible list of local dishes and wide range of drinks. Lists of beer and wine are impressive. The food is of the highest quality. 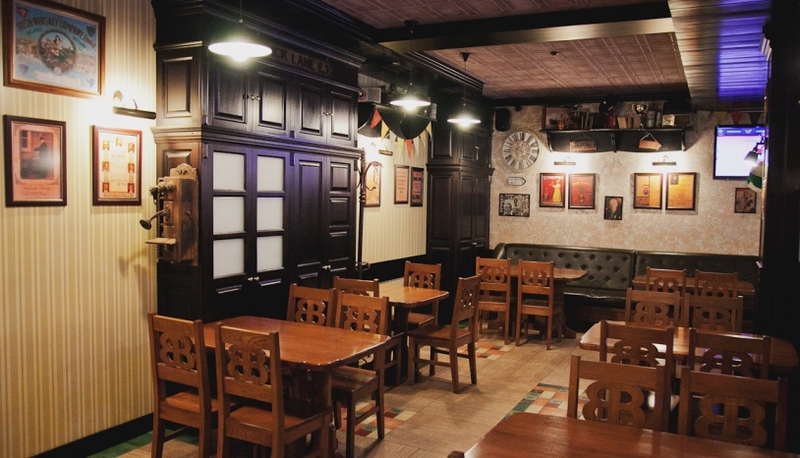 You can taste particular dishes which are not easy to be found in other pubs. The owners of the place are young and very friendly. They make sure that guests have good time in this place. Great atmosphere, excellent food and drinks make this bar an ideal place to have good time and enjoy beer and wine with friends. You can just have drinks or have the whole dinner if you are hungry. Everything from salads to burgers, meals for fish-lovers and for meat-lovers, dishes for vegans and, certainly, great choice of drinks is served in this nice bar. This small bar and restaurant is located in the heart of Bari on Via Paolo Lembo 18/B. There are a few tourists there, most visitors are local. The best and unforgettable experience for travelers is to try living like locals. This nice bar with good tasty food of Toscana and Puglia is a perfect place. It is certainly worth to be visited. High quality cheeses and salami, cold meats, sandwiches of different tastes, pizzas, Toscana meat sausages and other simple but not trivial and very tasty food is served in this charming Italian bar. Very wide selection of wines and a good selection of beers are offered for guests. The place is definitely run with passion and attention to details. Friendly and family atmosphere is great for having excellent evening with friends. This place is small and not famous, but it is very nice and highly recommended.